A few weeks ago I received an email asking me if I would like the opportunity to get up close and personal with an elephant at the Bowmanville Zoo. Thinking this is basically a once in a lifetime opportunity I quickly jumped at the chance. 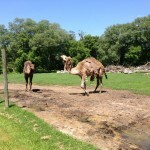 Later did I realize, this is an everyday thing at the Bowmanville Zoo. Underestimating the drive to Bowmanville I left Toronto around 9:45am trying to make it for the 11am bath time of Limba, the zoo’s only elephant. 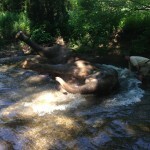 After encountering some traffic on the way, I made it into the zoo and down to the river, where through the fence, I could see Limba lying down getting her bath. I was late, I immediately thought, and started to wonder if I had made this drive into the far outskirts of the GTA for nothing. After peering through for a few minutes trying to catch a glimpse, the rest of the group arrived and we were escorted beyond the public area to meet Limba in one of her favourite spots: the bath. 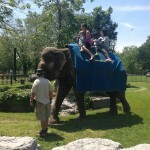 The zoo keeper gave us a brief history of Limba, mentioning she was the oldest elephant in Canada at 50 years of age. Limba is an Asian elephant which besides African elephants is the only other elephant species. 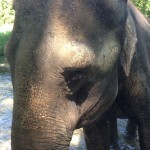 Unlike the male Asian elephants, the females do not bear tusks. The Asian elephant’s population is in decline due to encroachment on their habitat and increased farming of palm oil. While female Asian elephants are typically kept with other elephants, we were told that Limba is afraid of other elephants and relies on human interaction since she was raised by humans. We were given an opportunity to feed Limba some monkey chow and feel her tough dry leathery skin. She was also quite hairy for a female, though elephants don’t practice many of the same grooming habits that we humans do. 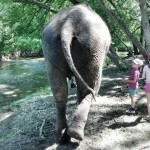 After meeting Limba, we were given a chance to explore the rest of the zoo. 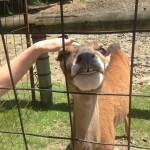 What I really liked about the Bowmanville Zoo was how close you can get to some of the animals. Deer, kangaroos, monkeys, wolves and tigers all can be found just a few feet from you at any given time while wandering the zoo. 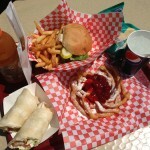 The food at the zoo was unsuspectingly quite decent too! 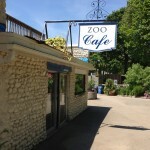 The Zoo Café menu is a mix of burgers, hot dogs and sandwiches with a couple of dessert options like cookies and funnel cakes. 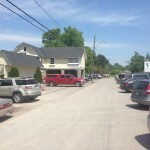 I sampled several items and they were all very tasty and available for a great price! Expedition Predator is a “ride” where you get on a truck that enters the enclosures of a yak & bison, tiger and the wolves. While the tiger seemed to want to have nothing to do with the tour, the wolves came up to the truck to say hello! The Animatheatre is where the skills of some of the animals are showcased. 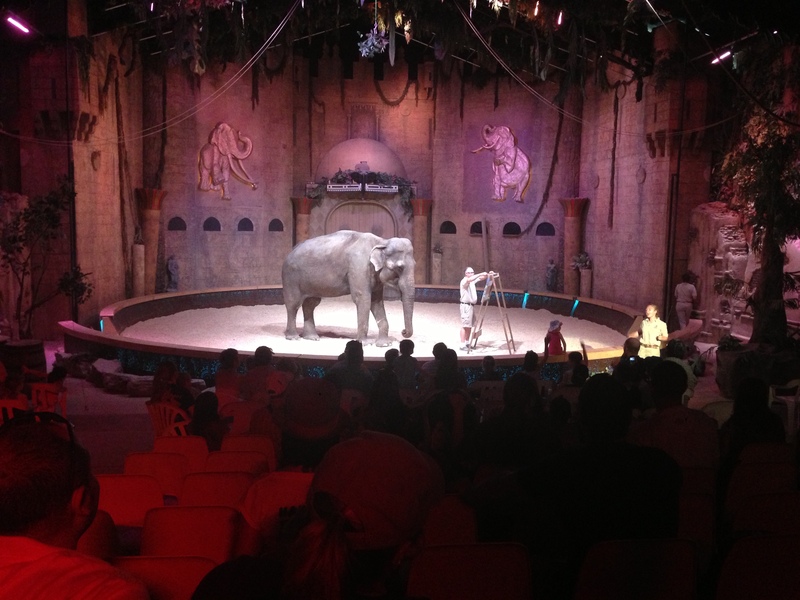 With a strong emphasis on the endangerment of many of the animals, this is where you get to see Limba perform some amazing acts, including painting a portrait! 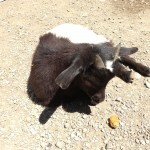 Other highlights of the zoo include the pygmy goats feeding area. I swear these animals would eat all day long if you fed them. The ring tailed lemurs are entertaining to watch, especially the new baby that seems to love annoying all the elders. Overall, I really enjoyed going to the Bowmanville Zoo because unlike many other zoos you really get such an up close interaction with the animals. Parking is always free, food is cheap and entrance ranges from $14-$21 for kids and adults but varies depending when you go. If you want to check out the zoo with your child, I also have a special offer for FREE child admission with purchase of an Adult admission. All you have to do is print out the coupon and show it at the zoo on your next visit. 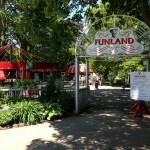 For more information about the zoo, visit BowmanvilleZoo.com. 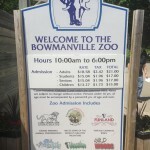 Our family loves the Bowmanville Zoo! This is our third year living nearby and we will always be getting the season family pass. Our daughters have probably been there 50 or 60 times and they still love every visit. 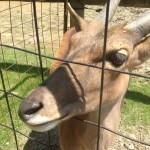 The zoo staff are very friendly and helpful and the animals are treated so well. 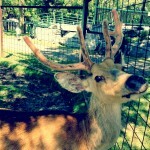 We’ve been to Toronto Zoo with the kids, and there is just no comparison. 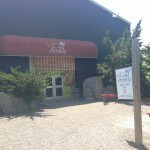 Bowmanville Zoo wins for us, hands down. 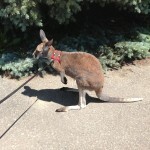 (Though Toronto Zoo is great too.) This is a great review and, trust me when I say, they weren’t just “putting things on” for the reviewer. 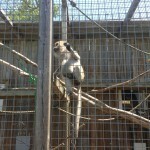 Everyone should get out to the Bowmanville Zoo at some point this summer! Thanks for the comment Noel. It really was a great day! I live 5 min with my family 5 min from the Bowmanville zoo and its not uncommon to be out for a walk with our dog after dinner and bump into Limba out for a stroll with her trainer on any given evening. The first time this happened my 8 year old was on his bike and rounded the corner first as my husband and I were walking with the dog and my son yelled out “hey, there’s an elephant coming!” Being 8 years old we didn’t really pay too much attention what with his proclamation of transformers in our basement and all, but lo and bwhold, 10 more steps AMD there we were…..face to trunk with Limba! Our dog, Biggie didn’t know whether to bake or run so he just stood there and took it all in. We all said hello, asked a few questions of her keeper andI know just like that, we were going along our merry way. I know my son or us for that matter soon won’t forget the experience. Limba really is a gentle giant and quite friendly. Awesome story Sandra! It must be so cool to bump into Limba just strolling down the street. It is great that she is so active in the community. Thanks Graham, we just bought oie house in Sept past, but I’m told by the neighbors you cam hear the male lion vocalizing in the evenings at dusk in the summer. It’s like being on safari! As far as Limba goes, she is a staple of this community. I lived in Toronto for years AMD would still make the drive out here to this zoo. When my 17 year old was much younger this was his first zoo trip AMD even though we visited the Toronto Zoo he always wanted to come back to this one because it is such a more intimate experience. If you want a chicle check out their Lemur Break videos on Fridays on Facebook. Did you get to see the new giraffes? That sounds amazing! The wolves were definitely very vocal when I was there. Unfortunately we did not get to see the giraffes. They had just arrived I believe and were in quarantine when I was there but will have to plan another trip back to check them out!